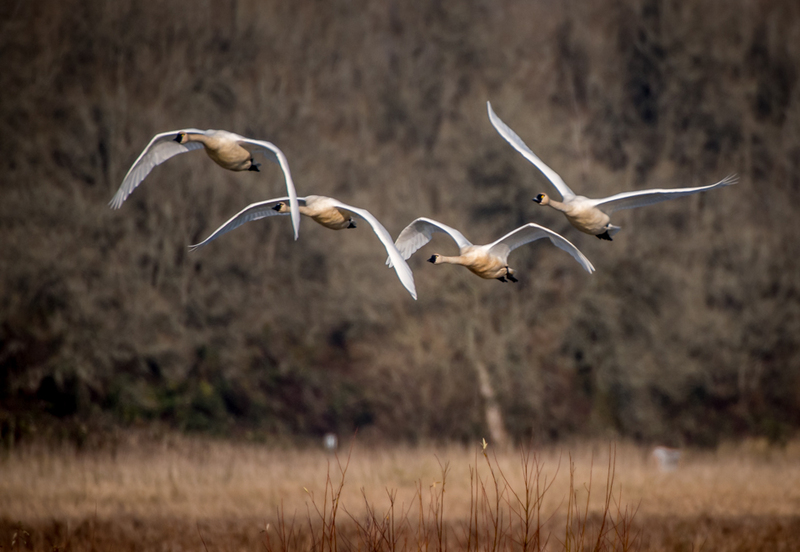 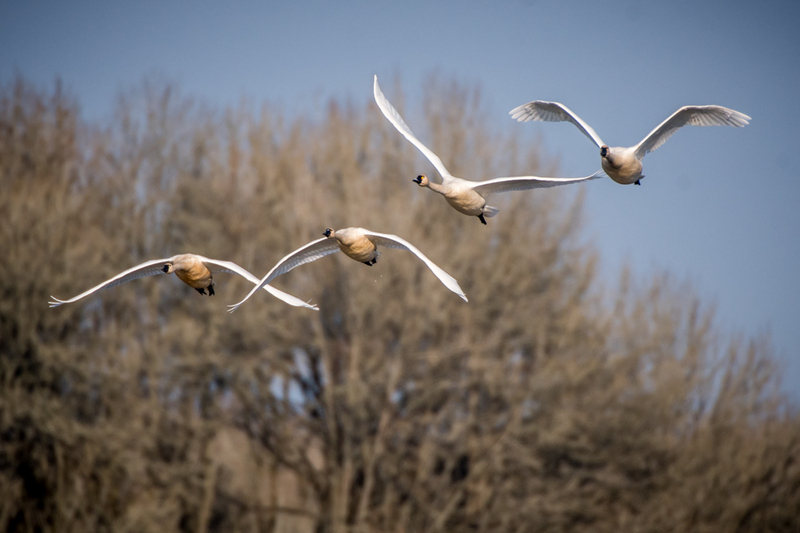 We’re lucky to see both tundra and trumpeter swans in Western Washington during the winter. 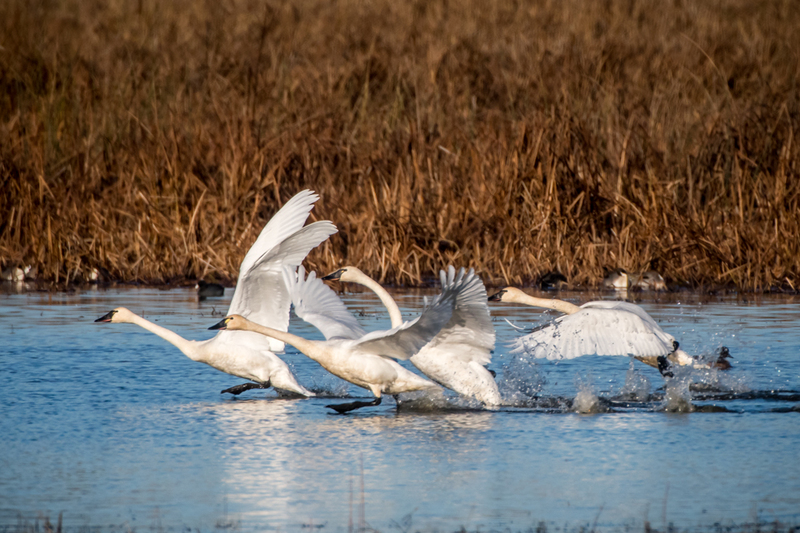 Thousands of the big white birds spend the winter here before leaving to nest in the spring. 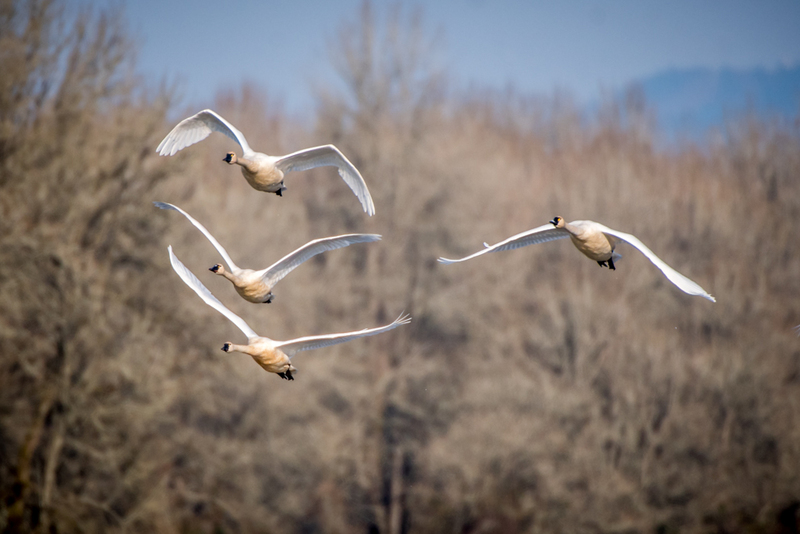 Here’s an imaginary conversation I think the swans would have about their flights across the landscape, as they take off and head to other feeding and resting areas. 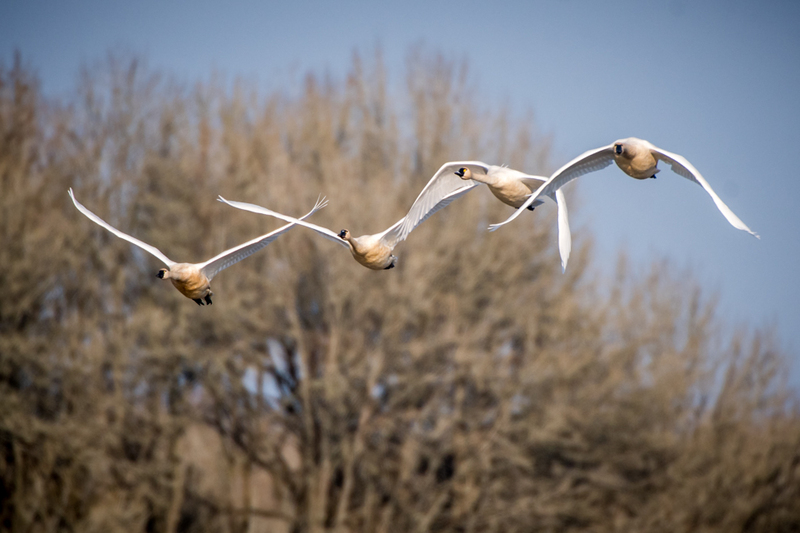 They make flying look so effortless and freeing, as though they’ve created a carefully choreographed series of movements!